Every piece has a story. 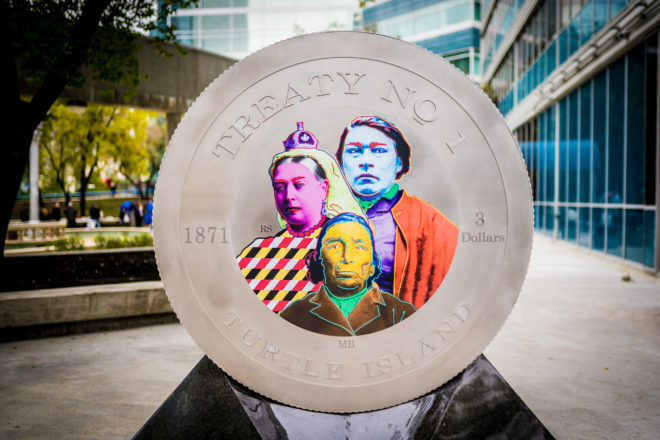 Learn all about public artwork in Winnipeg: where it is, why it’s there, and what it means. Some works are fun, colourful and interactive, and others will encourage quiet contemplation. Join us on an informative stroll and get to know the artwork that punctuates and brightens your city! Guided tours will start at 11:00am on Saturday and Sunday, lasting 90 minutes, maximum 35 participants, departing from Air Canada Park at 345 Portage Avenue.